A new series is announced and not a single Gear Chronicle to be seen for the rest of 2017. The cover image of “Messiah of Rebirth”. The set will also feature new Glendios and Deletor Support. New Harri and Nightrose G Units will be printed. 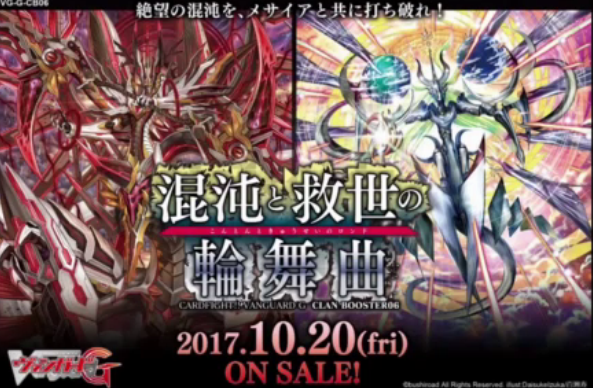 These cards will be available at the Great Vanguard Festival in Osaka, which is being held October 29th, 2017!